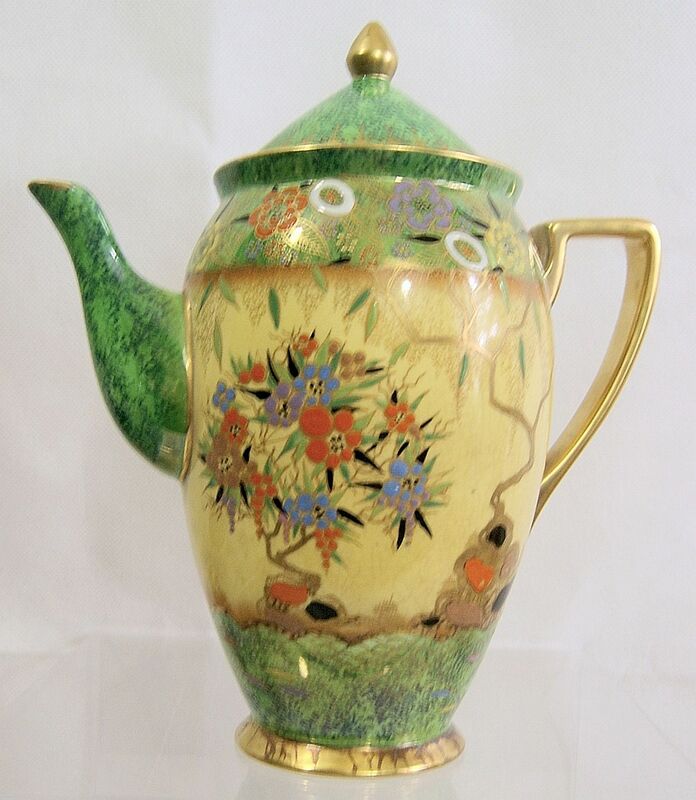 A really exquisite Coffee Pot from Carlton Ware in the 'Mandarin Tree' series. Anything from the range is highly collectable. 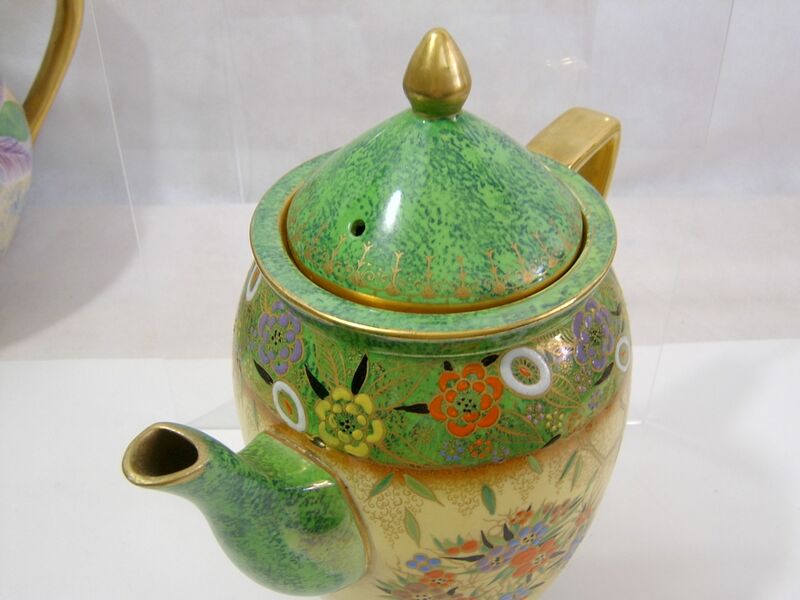 On this one the main design depicts the Mandatin Tree set among a blaze of beautifully enamelled flowers and shrubs with much gilding throughout. There are spiky leaves with detailed foliage on a light yellow lustre with a broad green frieze. 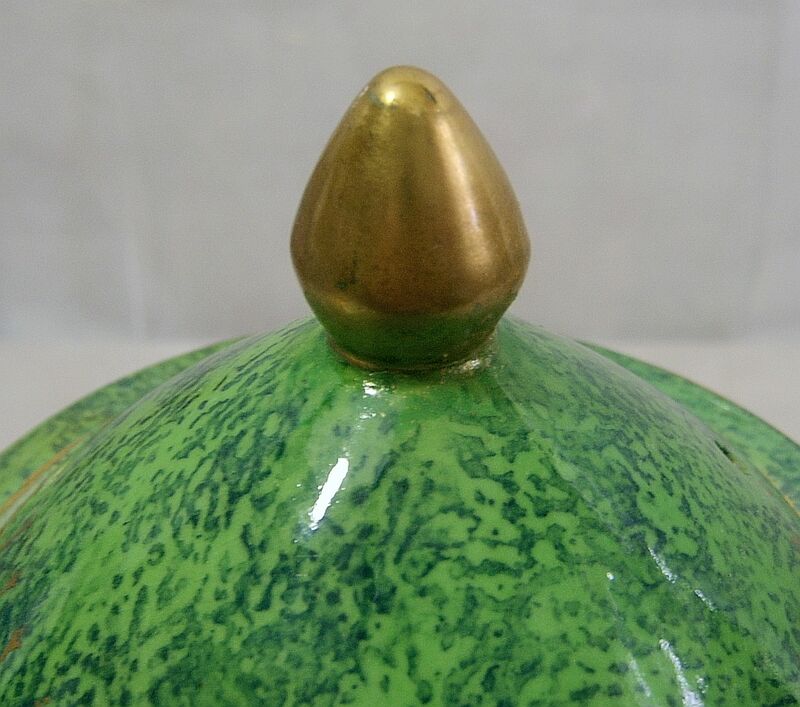 Though it will be almost impossible to see, the finial has been rejoined to the body of the CoverLid and the spout suffered a chip which, again, has been professionally restored. Because of this, the asking price has been much reduced from what would have been around 8/900 sterling in its ex-factory format. There is all-over light crazing commensurate with age. 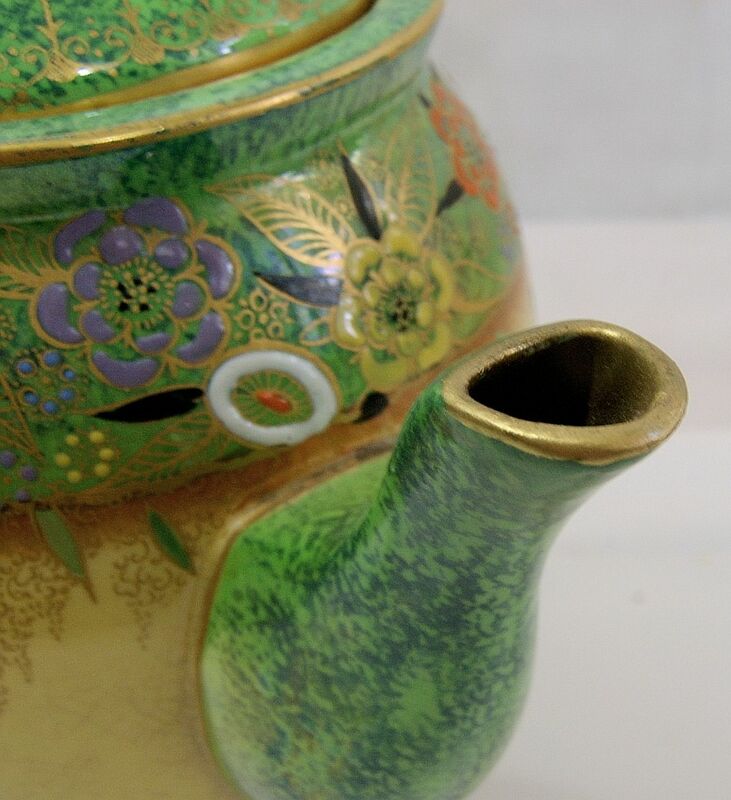 The gilded rim at the foot shows a little rubbing but overall, this is a magnificent example of a Coffee Pot in a very scarce product range. Production era would be 1933-1937 with pattern number 3719. 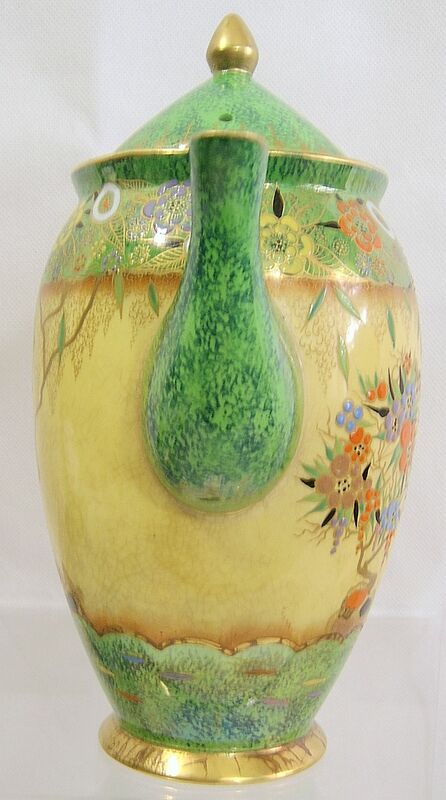 It stands 8 inches (20 cms) to the tip of the finial and a maximum width of 7.5 inches (19 cms).